The hydraulic wing lift system can never be fixed permanently. 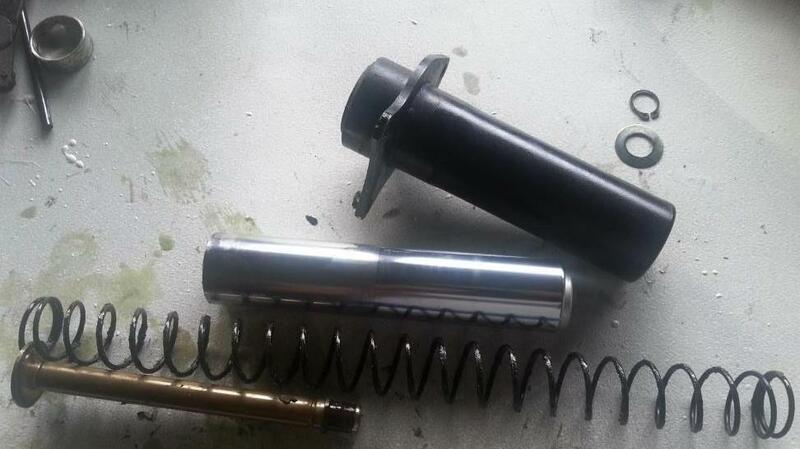 There are vendors that offer repair services and “upgraded parts” for the factory mechanism. 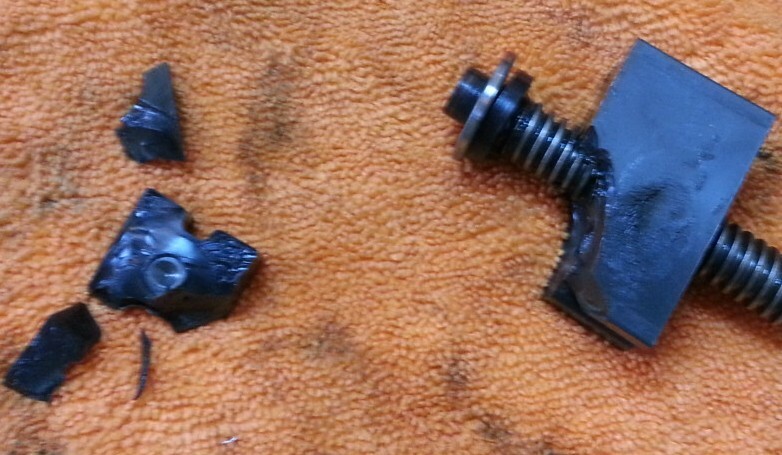 One claims easy repairs upon re-failure with cheap o-rings. We are aware of 14 causes for failure. Fix one problem, the next one will occur shortly. 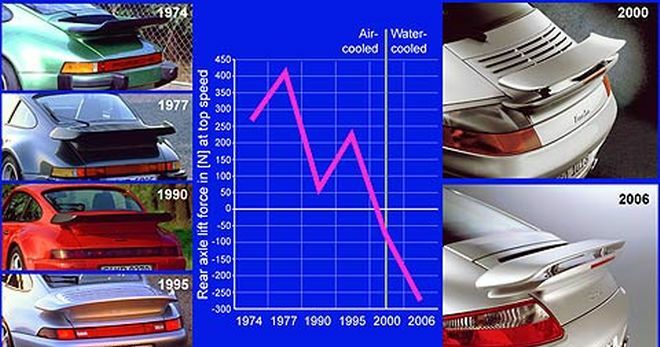 The water cooled Turbo’s rising rear wing is not a cosmetic part, it is a functional part. For the first time, the Turbo lineup employed a 2-piece spoiler wing assembly built into the rear deck lid. This is the same system utilized in the Carrera GT supercar. The upper wing is an inverted airfoil, or upside-down airplane wing. The same principle that lifts an airplane up is used to push the back end of the Turbo down. 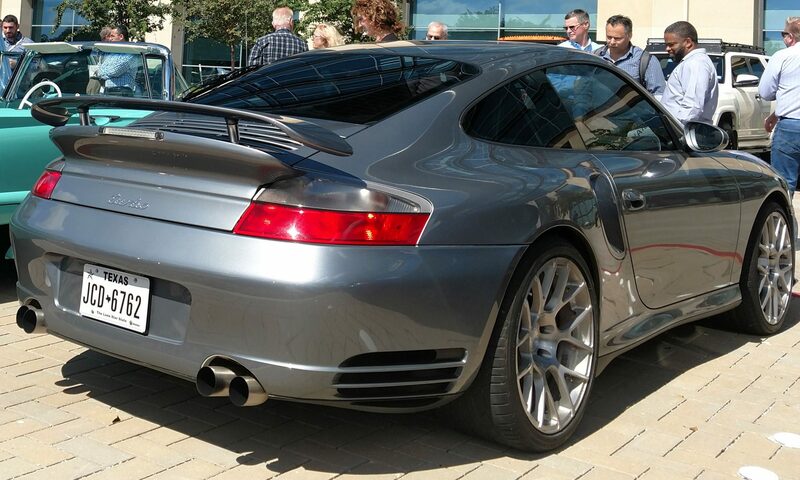 The 996 Turbo coupe’s inverted wing extends 2.4″ [60 mm] once the vehicle reaches 74 MPH [120 km/h]. As the cabriolet top creates additional air turbulence at the rear deck lid, the wing was extended even higher to 3.2″ [80 mm] in order to create the same down force as the coupe. The wing retracts flush onto the deck lid spoiler once the vehicle slows to 37 MPH [60 km/h]. The 5th generation 996 Turbo has a minimal lift at the front axle with a cAF = 0.02 and very slight rear axle down-force of cAR = -0.01. Down-force climbs as the car reaches top speed, down-force pressure on the rear axle builds up to 20 Lbf [90 N]. No longer was the tail of the turbo floating! 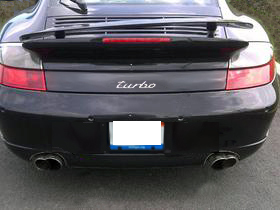 For the 6th generation 997 Turbo, the 2-piece spoiler wing extends 1.4″ [35 mm] for the coupe and 2.6″ [65 mm] for the cabriolet due to excess air turbulence. The 997 Turbo’s wing area increased by 23% over the 996 Turbo wing, with a down force of 61 Lbf [273 N] at 194 MPH [310 km/h]. The water-cooled Turbo generations took rear down force to a whole new level! However, the “permanently sealed” hydraulic mechanism to raise and lower the wing was designed and supplied to Porsche® by an outside firm near Nuremberg, Germany starting in 1999. It is likely that Porsche® drafted a specification for the Turbo’s wing extension requirements – then searched for a nearby firm to provide the hardware. The question is why did Porsche® choose such a complex, inherently faulty design – perhaps there was time pressure to get something working adequately enough, in order to launch the 5th generation water cooled Turbo for display in 1999. This was the first time such an electro-hydraulic mechanism was utilized by Porsche®. The 964, 993, 996 and 997 Carrera retractable wings all utilize complex electro-mechanical actuation devices. Only the Carrera GT, 996 Turbo and 997 Turbo have the electro-hydraulic mechanism. 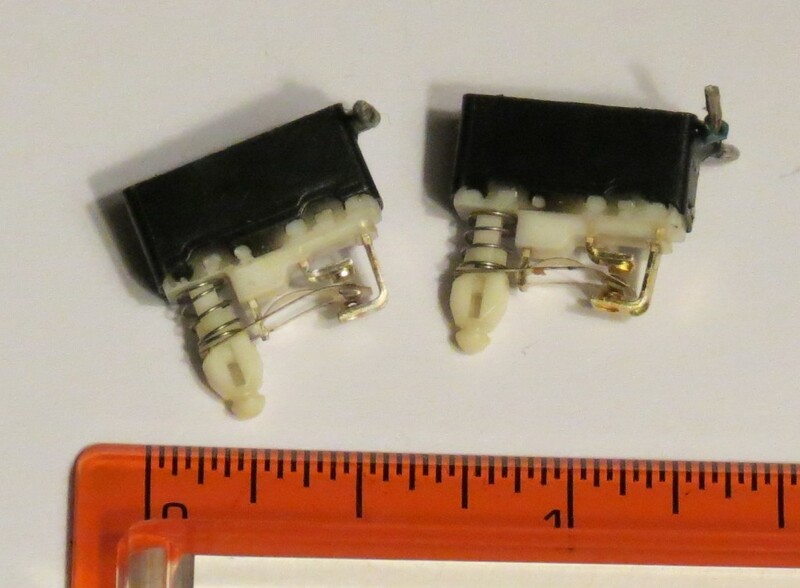 Note that it has microswitches on BOTH sides! How Does the Hydraulic Wing System Work? 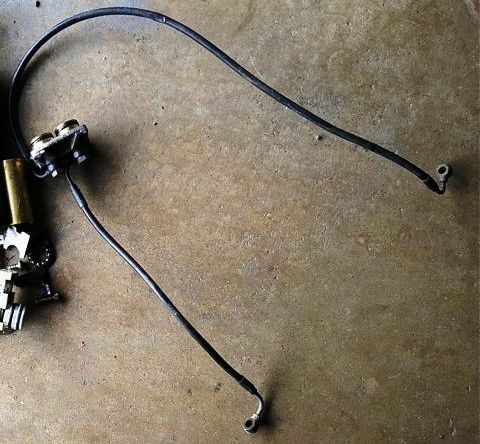 All too often Turbo owners experience a broken or malfunctioning wing or leaks under the engine lid from the cylinders, banjo fittings or motor driven plungers. 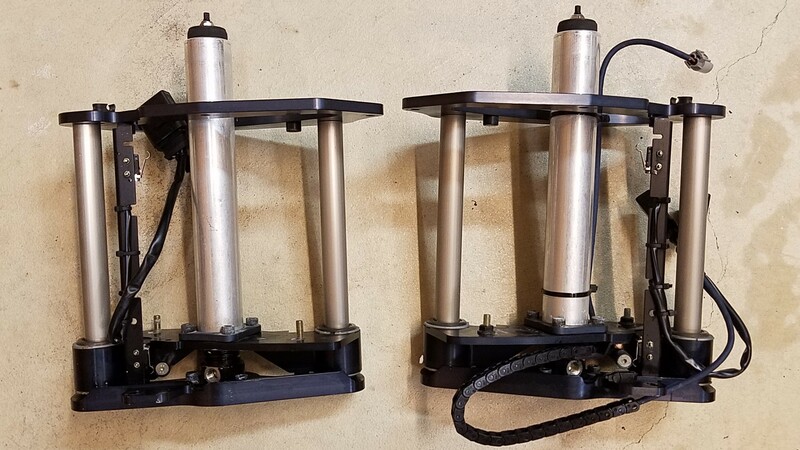 Operation: The heart of the system consists of an electro-hydraulic drive device with 12v electric motor and jack screw along with two separately driven plungers or syringes. The electric motor spins a jack screw in one direction or the other, which pushes or pulls two plungers via a threaded plastic block. 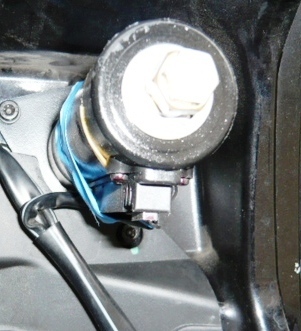 The closed system plungers force power steering fluid through hoses into two spring tensioned hydraulic cylinders connected to the wing. Oddly, only the right side ram has a set of “extended” and “retracted” microswitches. The microswitches send a signal back to the instrument cluster ECU (computer controller) to turn off the 12V drive motor. The ECU tracks the time it takes for the wing to deploy. 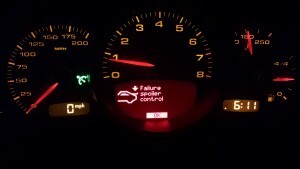 If it takes too long – a SPOILER FAILURE warning alarm is displayed at the dash. 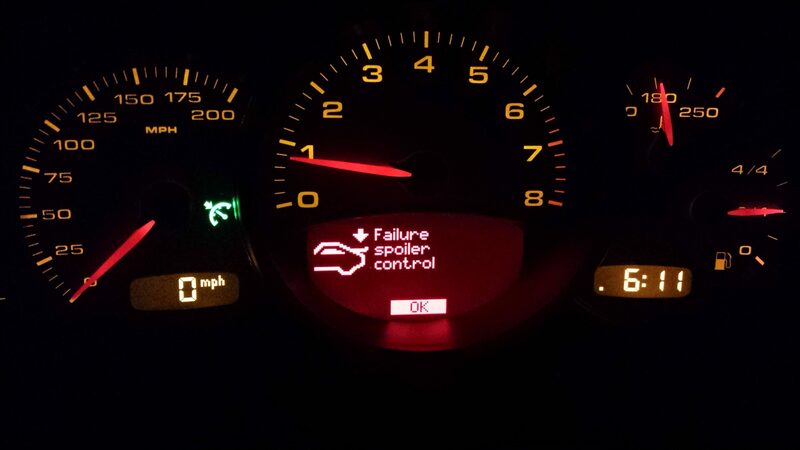 The SPOILER FAILURE warning is also activated if only the right side cylinder never fully extends or retracts. The left side wing cylinder is not monitored in the Turbo (it is monitored in the Carrera GT). Upon failure, the only protection to keep the motor from burning up is a thermister overheat fuse near the motor commutator. Strangely, discrete electrical failure protection (fuse) is missing, as one fuse in the panel is for the entire back lid electrical; hydraulic system, light, e-latch, fan, etc. 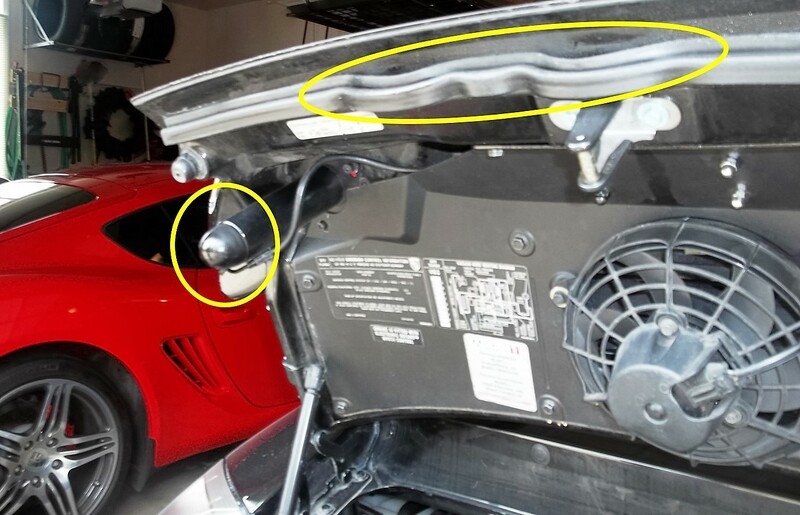 Why Does the 996 / 997 Turbo Hydraulic Wing System Fail? There are several root cause failures identified by Rennkit and our many customers. All are prevalent, given the age of these vehicles. The entire mechanism sits directly over the hot engine. 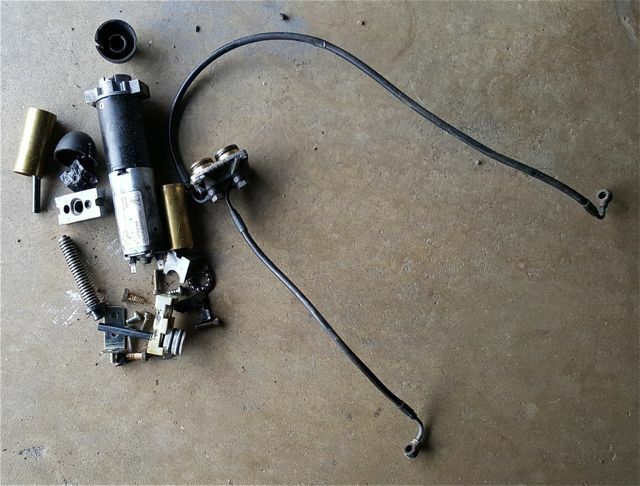 The entire hydraulic system gets very hot when the car is shut down, accelerating deterioration of all components. Of course part of the system is exposed to the elements with the wing up. 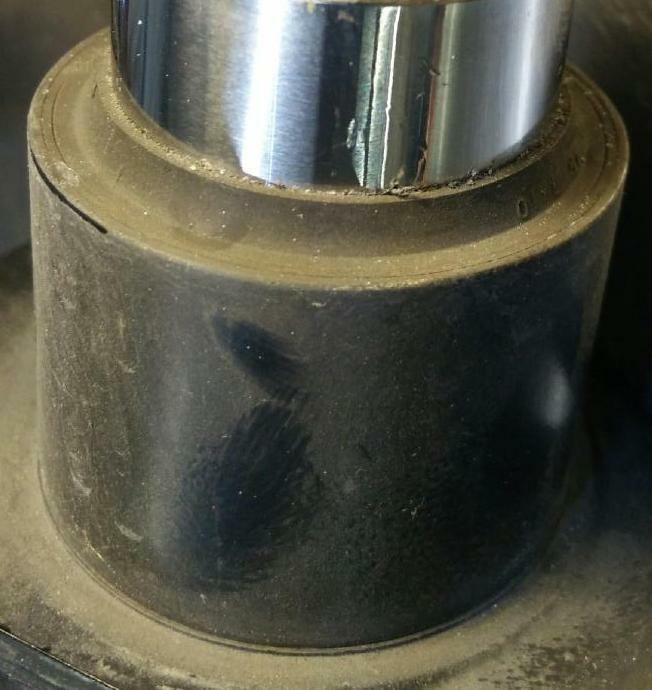 We are finding a lot of dirt and moisture inside the chrome cylinder cavities. It is not simply 1 chance of failure, but 3; as the left cylinder circuit, the right cylinder circuit or both cylinder circuits will fail. Often one side of the wing lowers, the other remains up! 6. Outer rubber cylinder seals are very delicate, and can become brittle, crack and loose their pliability due to dirt, age, wear, sunlight, heat and other environmental factors. The seal is no longer maintained, allowing moisture and dirt into the inner cylinder area. The moisture attacks the brass plunger cylinder and steel spring, causing deterioration, rust and failure. 7. 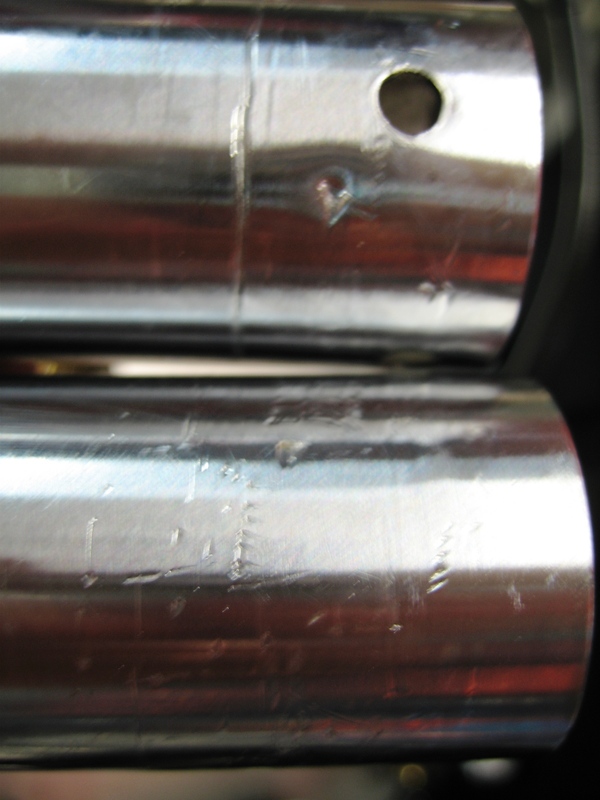 The outer chrome plated brass “beauty” cylinders are easily damaged during repairs or by other means. This allows dirt and moisture to enter the inner cavity with every stroke. The inner cavity is where the narrow brass hydraulic cylinder and spring reside. 8. A high tension steel spring within each cylinder mechanism is designed to force the wing to lower, should there be a failure. But in reality – it may not accomplish this as one side may fail – but not the other. The actual piston and cylinder that raise and lower the wing are quite a bit SMALLER than the surrounding chromed outer cylinder, about the diameter of a pencil – cleverly hidden within the big fat outer cylinder. 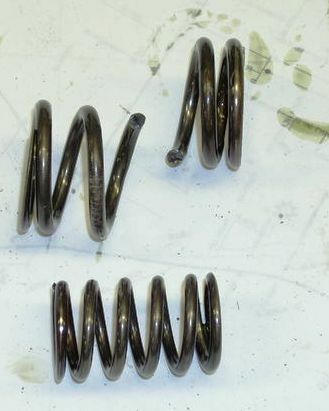 Fatigue will eventually cause spring failure. 10. Each hydraulic ram has a non-rebuildable factory sealed brass inner cylinder and piston. The inner o-ring seals often end up leaking as they become flat spotted around the perimeter. Heat and age causes the o-rings to become brittle and lose compliance to the barrel. 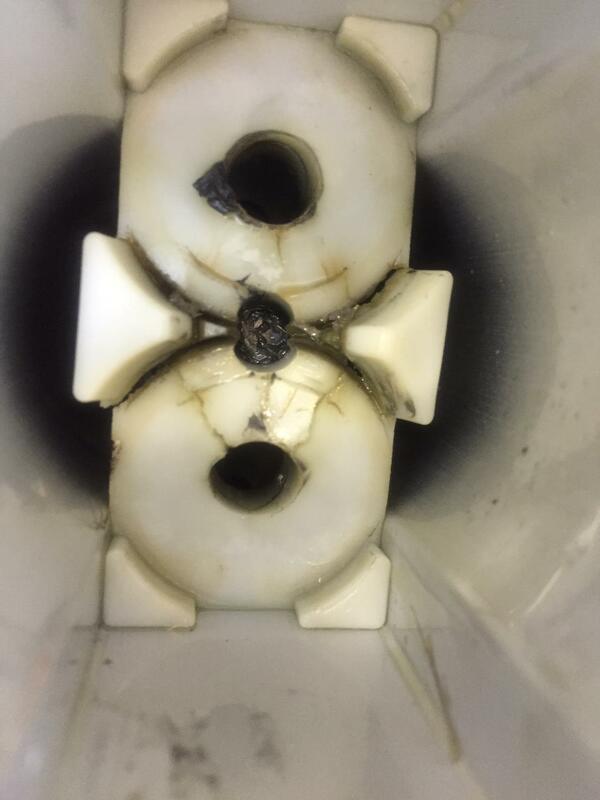 As shown below, this inner cylinder was cut apart, new seals installed, hardware store plumbing fittings installed, then soldered back together. It is difficult not to bend or damage the soft brass tube – or to keep it round during cutting, heating and soldering. Heat from soldering the assembly back together can damage new elastomer o-rings and support seals. Often rebuild services don’t bother cutting the plungers to renew the seals. Wonder how long this one with hardware store fittings will last? 11. 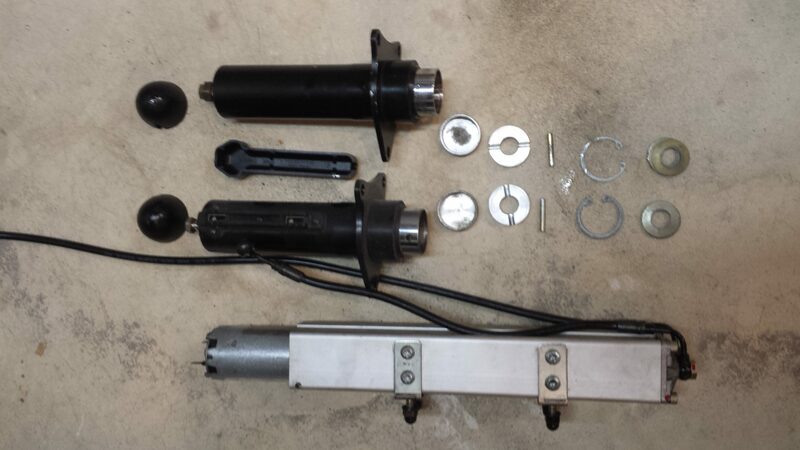 Oddly, each hydraulic ram is actuated by a separate hydraulic circuit. If either circuit fails, the wing is crooked and inoperable. This is indicated by a cocked wing, warped engine lid seal or a wet cap on one of the hydraulic rams. 13. Heat: The hydraulic system sits directly above the engine in the hottest part of the car, which promotes accelerated aging and breakdown of all components. We are hearing that cars in hotter climates, once having failed, continue to fail regularly because of excessive heat. Test labs use the Arrhenius method for testing materials or systems to failure under high heat. Why? Because mechanical and electrical devices fail faster at higher temperatures! In effect, our 996 and 997 Turbos are conducting a high temperature experiment on the hydraulic system every time the car is driven! 14. Hydraulic Fluid Contamination: The primary contamination factor is from humidity. It may not be obvious, but water contamination from moisture in the air is picked up on the internal extended ram cavity and introduced into the Pentosin PS fluid through the seals. Water decomposes organic hydraulic fluids as well as seals and corrodes internal metal components. Water molecules can diffuse through hydraulic hoses and age seals. Contamination also comes from internal moving parts that wear. Microscopic metal particles wear the seals and adjacent metal surfaces. 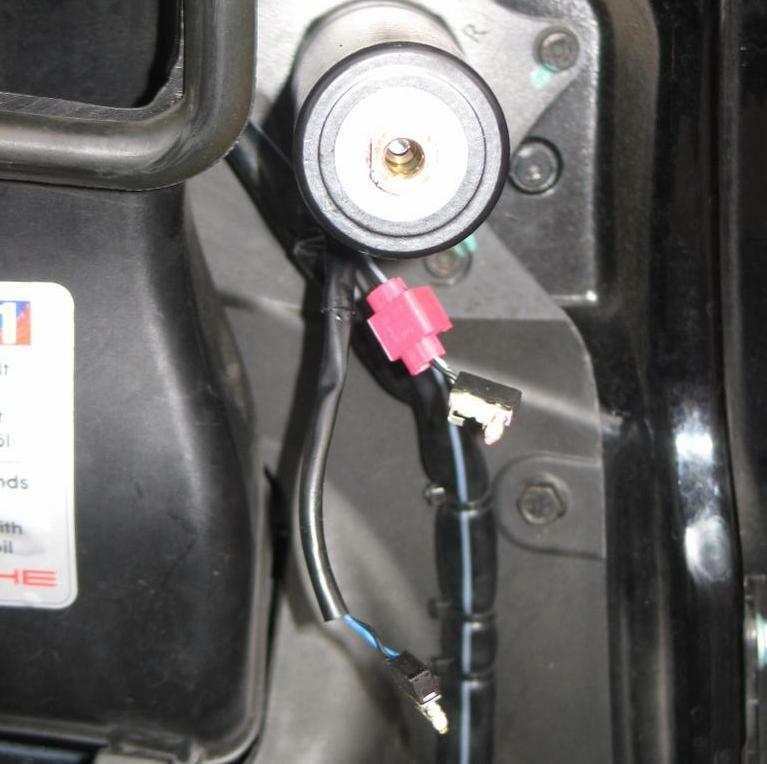 Being a closed system, (no dipstick, no reservoir, no drain plug) the fluid was never intended to be changed. 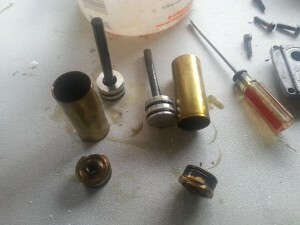 If you ever consider a “rebuild” of the hydraulic wing mechanism: 1) Insist they supply and wire up NEW microswitches on BOTH DRIVER’S and PASSENGER’S hydraulic cylinders, 2) Make sure they hone out and rebuild the brass motor plunger barrels and brass cylinder tubes – adding new o-rings and PTFE guide seals inside the “permanently sealed” brass tubes, 3) be sure they install new springs 4) specify new outer wiper seals and rehoned and rechromed outer cylinders and 5) require the return of ALL wear items, springs and replaced parts for inspection and peace of mind. Do not let them reuse any wear item, spring, microswitch, etc. 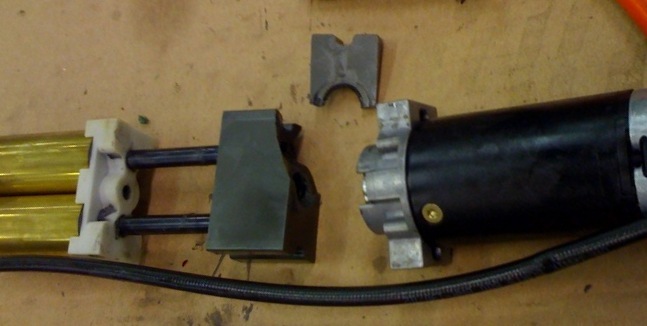 New factory replacement hydraulic system is US$ 2200 – $2400! Replacement by the dealer is US$ 3000 or more (reports of US$ 4900 for the 997 Turbo!). The factory mechanism can be rebuilt or replaced, but the root cause problems will NEVER go away. THERE ARE FAR TOO MANY THINGS THAT CAN FAIL. 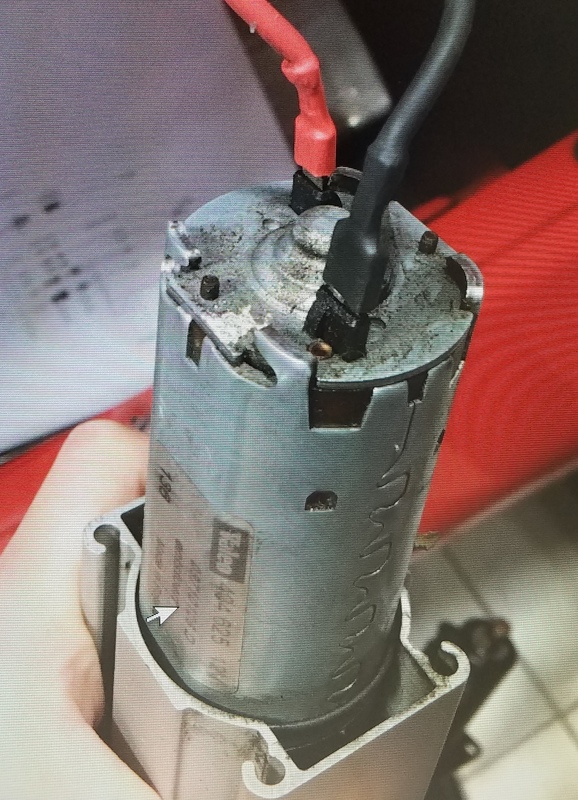 Even “rebuilding” the hydraulics can NEVER fix the design flaws and potential problems, or even add another set of microswitches like on the Carrera GT! Why risk corrosive Pentosin PS fluid leaks into your engine compartment or down the back bumper?